International Standards acts as a symbol of surety that the product is safe to use and the quality is good. It ensures the consumer that the product is reliable and good for the environment. International Standards helps in setting up of standards and strategies for companies to overcome various challenges faced by them during the lifetime of the company. It helps in building up the image of the company and also develops it. International Standards also provide international expertise as it is worldwide recognizable as well as experience. ISO also helps in eliminating certain barriers in world trade by providing many agreements on which these trades take place. International Standards are accepted worldwide and when a company has been certified by this organisation then it increases the standards and reliability among the consumers.Most of the consumers are very particular with the kind of product they are working with which makes it necessary for them that the product is good and safe to work with that makes them confident. ISO will increase the clients as well as goodwill of the company among consumers. ISO increases customer satisfaction as most of the customers know that the product is certified, reliable and safe to use. ISO helps a company to fulfill customer requirements by improving and customizing work ethics. Customers will know the quality of the product that they are working with which will help the company to get more satisfied customers. This will also generate more revenues by keeping customer loyalty. ISO lets the company know about the product process integration which makes it easier for a company to make improvements in its product by focusing more on efficiency and also by reducing cost and saving more. ISO helps a company to eliminate waste which may occur during the process of a product by using efficiencies on fewer errors. Also with the help of this a company can set the price of a product accordingly and advertise the product in much better ways. ISO makes the product qualified and better to use than other products which gives a great advantage to the company. Employees which are in the ISO product improvement need more training and development as the product will be certified. It helps employees as it provides them with information regarding instructions and procedures to complete particular tasks. Employees are mainly happy who work towards the improvement of the product. These employees will be more effective and will help the company to improve as they know that the quality of the product depends on them. ISO helps a company in decision making as it lets a company to monitor its progress and what more is needed to make the product of the best quality. This lets a company to decide on the procedure of cutting cost, utilizing waste, savings and also on being effective. A company can decide on how to make a customer more satisfied with the product and also on employee’s satisfaction. A company can keep these things in mind while making a decision. This ISO is a document which maintains the necessary requirements for a quality management system. ISO 9001 provides customer satisfaction by helping a company to fulfil customer requirements. It also increases revenues and low chances of risk as the product is of good quality. It ensures good outgoing control and helps government as it provides expert opinion and opens world trade. OHSAS lets the company to think about the future as it improves brand building. It focuses more on employee’s safety and satisfaction by attracting good human resource. This ISO reduces the administrative cost, public liability cost and insurance cost for the company. Production is also benefited from this because there is no accidents and disturbance in production. In India, ISO 14001:2004 works towards a better environment and a better world by following certain necessary steps to cure these problems. This ISO helps an organisation to increase its profitability by using better ways of production such as through saving energy. Waste management must be of prime importance and ISO helps an organisation to reduce its waste management cost. It also reduces certain risks taken by the organisation which may affect the environment in the future. ISO 2200:2005 is the certification provided to food companies which lets them to provide safe food products which are safe, reliable and easy to consume to the consumers.This ensures the consumers that the food is secure and safe for them to have and buy. Work life balance is all about creating and supporting a healthy work environment which will enable a worker to have balance between work and personal responsibilities. This will help in maintaining and strengthening employee loyalty and productivity towards the company. Workers have many responsibilities to take care of, such as work, family, housework and many more little things that matter to them. Balancing between work and life has become a major issue between workers as this conflict has been associated with numerous physical and mental health problems. Work-life conflict impacts workers, employees and their communities as well. A worker can only be productive when there is balance between its work and life. Time management is one of the major components to achieve work life balance. It is a way of organizing and planning effectively the time required to complete certain activities, it also helps in efficient use of your day. Time management can be done on the basis of your work, whether it is urgent or important. It helps in greater productivity and efficiency, less stress and better professional reputation. Stress management is a technique to reduce stress suffered by workers. As the world is growing and changing faster every day, work becomes more complex over time. Competition arises between workers to excel in the company. Workers then start working under pressure of promotion and preference, this results in stress of work. Workers must not come under stress while working rather than stressing over deadlines. Self-Management is a way of managing one own self. A worker must take care of its body, hygiene and nutrition. A worker must develop talents and potential to enhance their quality of life. A worker must get enough sleep and exercise to be productive and work effectively and efficiently for a company. If a worker excels in managing one own self, then they will become more capable of managing tasks. In this growing world, change has to be adopted no matter whatever the consequences may be, continuously adopting new methods and re-adapting others is vital to a successful career and a happy home life. Effective change management involves making certain changes in your work and everyday life. An employer must direct an employee towards the organisational goal and support them by providing them with necessary resources. Employers can arrange special workshops on this major issue and also programmes, initiatives for the betterment of the employees. Here are some decisions an employer must take to eradicate this problem. Employer must see to it that the employee is not given any extra work after they have left their worksite. It means restricting number of hours which are expected of an employee in a given week. They should also see to it that their e-mail servers should stop after the working hours. Employers must concentrate more on the outcome rather than the number of hours a working is working. A productive worker can complete its worker well before 8 hours and may not need to waste time. They should also increase number of brakes while working, keeping in mind the stress factor of an employee. Lunch breaks, rest breaks must also be kept in mind while making such decisions. Also; providing breaks to workers increase their productivity which means effecting work. Employer must also inform its workforce regarding work-life balance and its importance. This will help them in taking extra care of themselves and their families, resulting in less health problems both physically and mentally. An employer must let the employees do certain things which make them happy and satisfied at work. This will help the employee in improving its mental state by providing them with happiness. Getting inputs and feedback from employees keeps them connected to the company and makes them feel that they are a vital part of the organisation. This will keep them motivated and satisfied while working for the betterment and growth of the company. Motivating its employees by fulfilling their basic needs, social needs and esteem needs. An employer must appreciate the work done by its employees and guide them if they go wrong. Understanding the needs and problems of a worker must be kept in mind. Offering maternity leaves to new parents will help the employees to feel better about the organisation and make them believe that the organisation really do care for them. The organisation must also provide employees with more number of vacation days so that they get to spend more time with their family and help them self-manage themselves. 1. Family is given more importance than work in the Danish Culture. The country focuses on fewer working hours so that workers get more time to spend with their families. 2. In Madrid, workers are allowed to have mid-afternoon breaks to avoid the sun and this cuts down their hours substantially. 3. Workers in Germany take an average of 29 days’ holiday every year just to celebrate Oktoberfest and be with their families. 4. In France, workers get mandatory pay leaves of 40 days and the government is forcing them to not use smart devices after work hours, also no checking and responding to e-mails after work. 5. In Netherlands people work an average of 27.6 hours a week. It is one of the few countries in the world to have such a low work week cycle but yet they have a very good GDP. It is also said that Netherlands has a 4-day work week. 6. Bulgaria is the best place for the people to work in who have kids as, the workers are given up to 410 days of paid maternity leave at 90 percent of the mother’s salary. 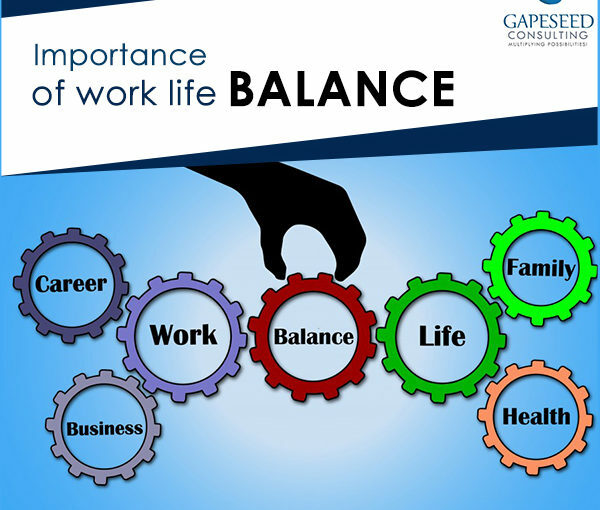 Work-Life balance is very important in a workers’ day to day activities as performing certain tasks may drain out their energy of doing other tasks for their family or for themselves. Balancing will help a worker to be productive and grow as a person. Good management of time, stress and change in the environment by an employee leads to effective and efficient work.